The A to Z Challenge Pre-post? Well, I was unsure if I'd get the comments working in time for the challenge. Yes. I found the problem. In checking over the options on the sidebar of the edit page, I found...Reader comments and clicked the allow button. Yes. Hmm. On the A to Z Challenge, I did post some other tips and such, mostly because there are a fair number of blogs and I'd really like to follow all of them. The problem for me is that I have to pick and choose, else some get lost in the shuffle of those who post fairly frequently. I decided on an action verbs list for each letter within the confines of dialogue only. The dialog is part of a plot I've developed for a short story, or rather a novella. Some of the words presented a "challenge" and I was tempted to change the word. I persevered and have 24 posts ready for final edit before posting. I don't think I've ever put that much thought into what I post. If you have any comments, feel free to speak your mind. As always, I don't require that you comment, or even follow me. I go by the page view count and that's good enough for me, knowing someone reads what I write. Looking forward to meeting some new bloggers and will be checking out "my regulars" as well. Tallulah Zultanah Nokomis, First Born Daughter, grows up knowing she must marry and have a child to keep her line unbroken: the Pact between two Peoples must be upheld. The first First Born Daughter to marry for the Pact used the Knowledge of the Old Ones to her benefit, becoming a Windigo. Tallulah must destroy her or be destroyed. *The cover hasn't been uploaded to the Smashwords site where Storm Clouds resides, patiently waiting for the final edit. "Alright. Everybody, quiet. I'm an old lady who can't process 12 conversations at one time anymore. Sit. Think about what you want to say. There are a few people who want to hear your story." Chaos settles into quiet. We sit and watch each other for a few days. I start reading over what has already been written. I work on the cover. Clamor starts as the other characters want theirs finished right now. "Patience. Everyone must learn patience. I am an old lady who can't manage more than two things at a time anymore." "My story is more about the choices I had, the decisions I made that came from them. And consequences...."
We look at her. Waiting. We listen as she starts her story. I am an old lady who still has a lot to learn. Ulah made the title change. Edit: Yippee! Found out why the comments were not working. Thus, the giveaway will be extended through 07 April 2013. One more week. As a result, I will be adding a $10 Facebook Gift card to the awards. Chi miigwetch, my little guinea pigs. Comments box is not showing for some reason. I will be disabling that part of the giveaway, even though it was optional. Working on a solution. Thanks for reading. What is the gift card you have a chance for? Why, I am offering a $25 Facebook Gift Card for one person who follows me on Facebook. You don't have like my page to enter. The purpose of the Giveaway is to promote my page. Or you can like my page without entering. I will have a giveaway for a choice of a Google Play card or Amazon Gift card or Barnes & Noble gift card following this, so if you don't want to log in with Facebook, you don't have to. Email entries are fine. This promotion will run for one week only. This will begin at midnight, 0000 hours Central Standard US 23 March 2013 through midnight (0000 hours) 30 March 2012. The drawing will be Sunday 31 March 2013 and the winner will be notified by email within 48 hours. Once I get confirmation of eligibility, I will send the prize. **See note below. **Note: Mildred R Holmes follows the laws for the State of Minnesota, so you must be 18 years of age as of 30 March 2013 in order to claim the gift or age of majority in your state. Even though this is the first time I'm participating in the A to Z Challenge, I want to post of few of my thoughts on the process. During the Platform Building Campaign, I followed a lot of interesting blogs. Some of them got lost in the mad shuffle and weren't regained until the recent overhaul of my blogs. Now, it seems the math used to determine my likes, wants and needs isn't all that perfect. teehee. Suggestion number 1: Use the file, label or whatever indicator on your reader program to sort your interests as soon as you hit the follow, like or send button or a quickly as possible thereafter. I have anywhere from 88 to 104 blogs I'm following depending on which stats I look at. Some of them are on Live Journal, Word Press or even less common sites. They're supposed to be managed in Google Reader dashboard. 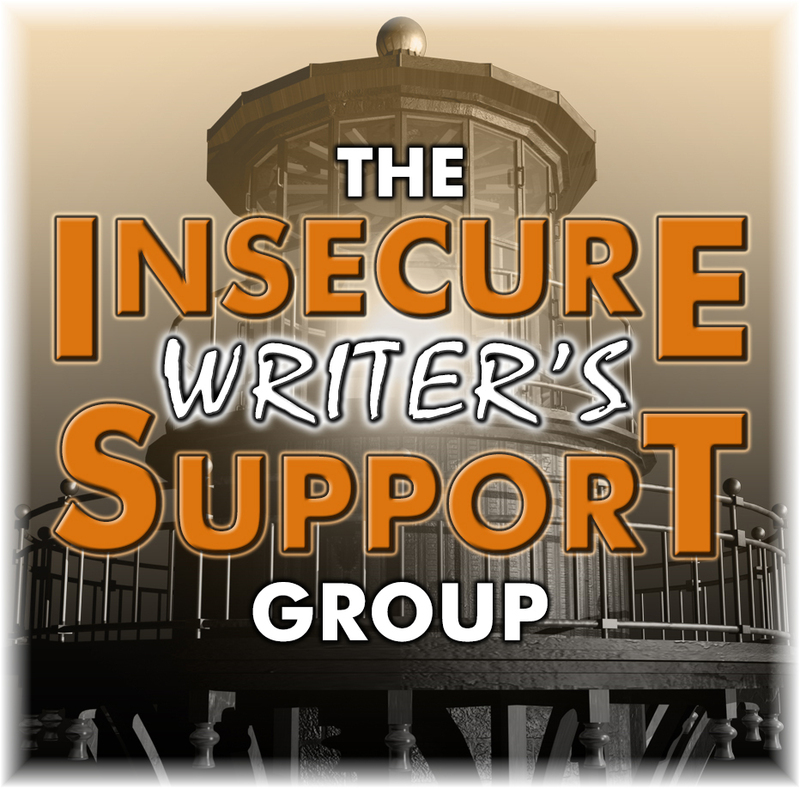 I think the reorganization of that helped my reader bring back some of the blogs that I thought weren't being posted to as it had been so long. Suggestion number 2: Even though I had labeled my blog into one category, I checked out a few of the others. Like my library at home, it is an eclectic collection. Once in a great while, I come across a point of inspiration on those. I comment, thinking that that will bring that blog into my reader. Ha. As I said, that algorithm isn't perfect. So, make sure to hit the follow comment button so you can receive notifications in your email, at least until you determine that it was just a one time inspiration. Third, once the actual madness has ended, go back and check out a few more of the blogs listed. I've come across some sites that I followed just because they used their creativity and set up an interesting, easy to look at site. Some of them are very beautiful just to look at. Writing from A to Z seemed to be a challenge that I could possibly do. I had seen the badges here and there around the blogosphere. This year I decided to accept that challenge. 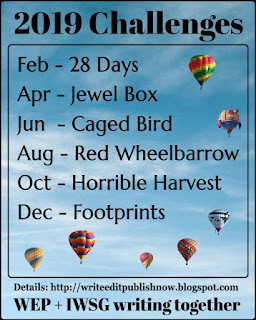 The list is here at Alex J Cavanaugh's blog: 2013 A-to-Z challenge and on that list I am at 415. It is now 1175. Most of the revising of my NaNoWriMo novel, "Storm Clouds" is done. Technical issues had caused a slight delay in my schedule. 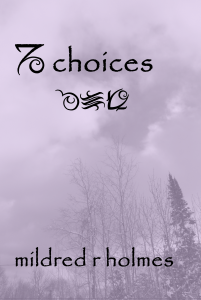 The revision process has changed the title to "Choices." Uploading to Smashwords is scheduled for 05 April 2013. And this is where the technical difficulties started. I learned how to use the Paint.net program. I loaded the picture I wanted to use and got the title and my author name situated just so. Worked for a couple days to get the background perfect. I had followed the guidelines for book covers. Pixel width and height a bit larger and all concerned could crop it with no fear. I had thought about getting really fancy and decided that simple is better until I can get the hang of manipulating the tools. And therein was the difficulty. I was more concerned with the pixel size and making sure the picture was set so it didn't matter if it was cropped. Played around with different effects and made the final "Choices." Dutifully saved it as png file. This morning I checked at the Smashwords site for uploading the cover and the updated story. Whoa. #4 Cover Image under Apple Ibookstore Publishing Checklist: "...cannot be a grayscale image, i.e. black and white only." Well, my book cover was black and white. Or was it? Did I save it as something else when I was happily playing with the tools and discovering the different effects and such? No doubt about it. I think I had inverted the colors and used one of the other effects to make get the visual effect of a different sort of being's vision. Black and white? 3D effect? Some decisions had to be made and now will be working on the cover again. Just to make sure I didn't use grayscale. I tried to do as Scott Stringer recommended for naming layers in his ebook "Mastering Paint.NET 3.5.10" and realized on this one cover, I neglected to do so. Working on fixing that. The release of the book cover has been changed to 05 April 2013. Now that I think about it, when I showed my sis what I had done, the expression on her face was probably a good indication that it needed to be changed anyway. Ahniin. Greetings. Wow! It's been a month since I posted on either of my blogs. Course, the reason for this is due to the nefarious trojans lurking around, patiently waiting for the unwary. I took my computer to a professional for cleaning as I didn't have the required anti-static vacuum cleaner. Beginning January 20 or thereabouts, I was checking out Lean Pub. The company uses Markdown. I've been getting my blog posts in book form. I've wanted to do so since I first learned about it. Unfortunately, I didn't have the patience to copy all my posts and set up for publishing. Lean Pub will import your blog...a catch is it will only import whatever is in your reader. If your blog is set up for short, that's what will post. For the past month, I've been getting the book ready. Along the way, I needed a cover. About half the time during February was devoted to learning how to make a cover. This turned out to be so much fun. I played around with the program for a couple weeks. Have to get another storage device for the images I "improved" and the maps I made. Wowser, the files can get humongous. The blog I put in book form was Niiganab as that is the more important one for me. Having worked with the files for Lean Pub, I have several ideas that are percolating around. It is real simple to learn. The books I've been working on will still be published at Smashwords as Lean Pub is geared more towards the tech books that need constant updating, i.e. language, programming and whatnot. There are some non-tech books, like NaNoWriMo books. And this is the reason I chose to use Lean Pub for my blog. When I want to update it, I can with relative ease. For right now, my plans are to put non-fiction stuff there on Lean Pub and fiction on Smashwords.